Yesterday, I had the opportunity to taste some of Estancia's current releases at Up restaurant with Estancia General Manager & Director of Winemaking, Scott Kelley. We started with the Pinnacles Ranches Monterey Chardonnay 2009 with the tuna tartar and ceviche. As Kelley had started with Estancia in 2007, this wine was overseen by him from start to finish. As a Monterey County native, he is passionate about the local terroir and making wines that reflect this sense of place. 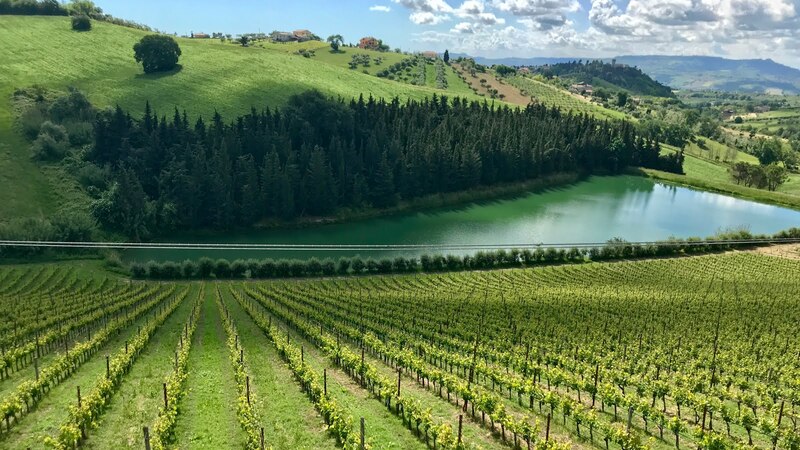 The Pinnacles Vineyard is on the east side of the Salinas Valley on the lower slopes of the Gabilan Mountains, this area is ideal for slowly and evenly ripening the grapes and bringing out the pineapple character. 50% of the grapes were fermented in stainless steel and 50% in oak of which 25% was new. The end result in my glass was a nicely balanced, full flavored, medium+ body, medium acidity wine with a medium+ length pina colada finish. A nice wine retailing for about $14. Next, we tasted the Estancia Pinnacles Ranches Monterey Pinot Noir 2010. The majority of the grapes come from the same vineyard area as the Chardonnay. 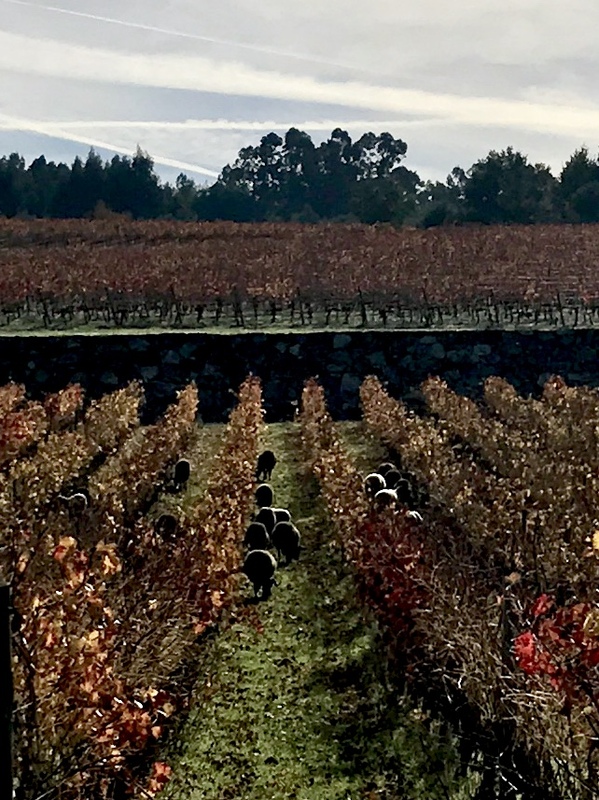 The cool breezes from Monterey Bay help the grapes to retain their acidity and when coupled with the sunny granitic soil slopes create an ideal environment for growing Pinot Noir. The resulting wine was a fresh, fruit forward, well-balanced medium everything (tannins, acidity, etc) wine with a ripe red fruit, baking spice flavor and silky finish. Another nice wine at approximately $16. It also paired well with the tuna tartar. The Pinot Noir 2007 Reserve is sourced from the Stonewall Vineyard in the Santa Lucia Highlands which is located high above the Salinas Valley. The morning fog and afternoon breezes create a cool climate site with a long growing season. 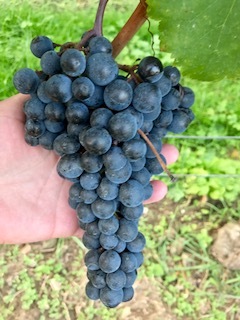 This, along with carefully selected rootstock and Pinot Noir clones (Pommard 4, Dijon 114 & 115) combined with the northeast exposure, well-drained soils and low yields help to create a wine that is intensely flavored. Due to this wine's depth of color and flavor profile, I had to ask, "What about those rumors of Syrah being blended into some Pinot Noir in the Central Coast?" Scott's reply was definite, we were enjoying 100% Pinot Noir. 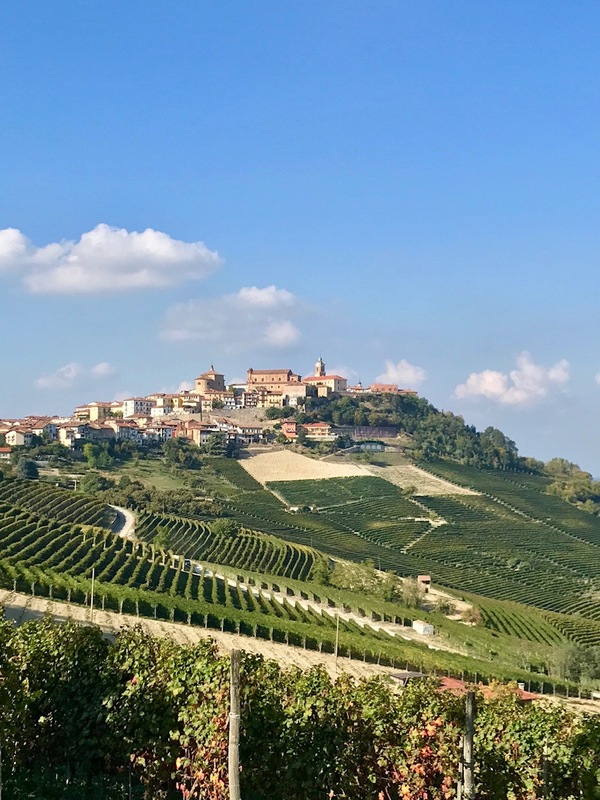 Due to the terroir, it is easy to get very ripe grapes resulting in deep pigments, stronger flavor, higher tannins and alcohol; it is up to the winemaker to control those factors to get a more traditional style. My braised short rib sandwich had arrived to the table at this point and the wine worked well with it. This wine retails for about $30. The final bottle was the Reserve Meritage 2008 from Paso Robles. 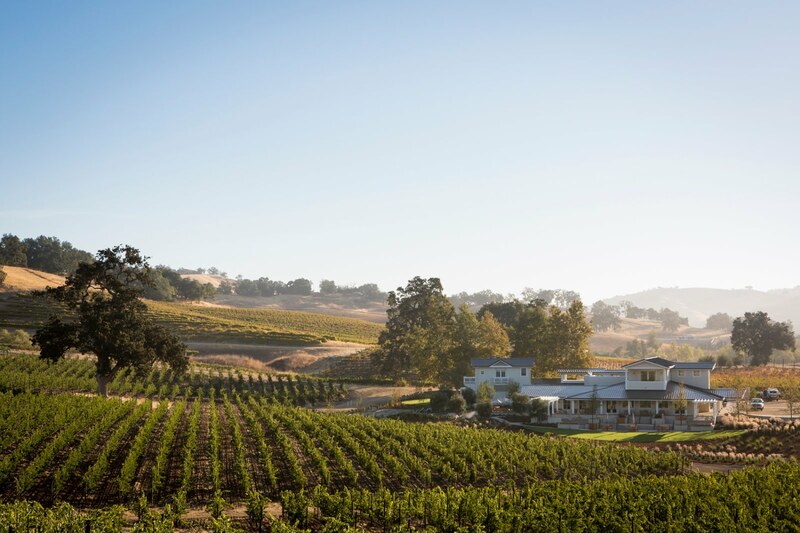 Estancia is a founding member of the Meritage Society and is dedicated to making complex quality blends from Bordeaux grape varieties that reflect the terroir of Paso Robles and specifically the Keyes Canyon Ranch vineyard. 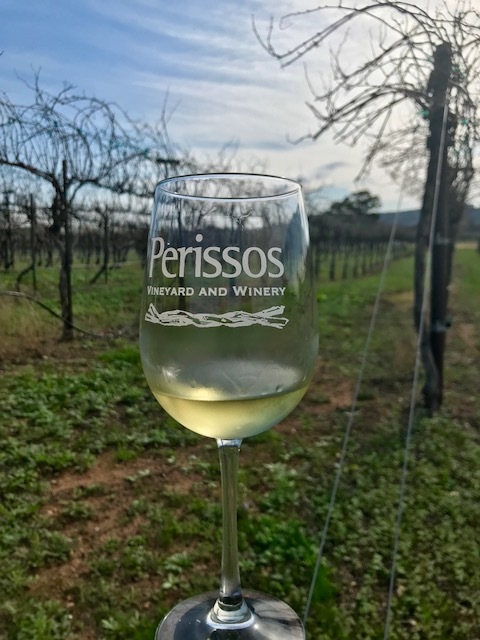 The diurnal temperature range is more extreme than anywhere else in California, days are warm and sunny while nights are cool due to the influence of the Pacific Ocean; the result is a rich, intensely flavored wine. The blend for this bottling is 51% Cabernet Sauvignon, 38% Merlot and 11% Petit Verdot which spent 14 months in a combination of both French and American oak of which 40% was new. The result- rich flavors of ripe black fruit, dark chocolate and a strong graphite or pencil box character. Full body, medium+ acidity, alcohol and ripe tannins with a long finish. It was quite nice with my sandwich as well and it retails for about $30 a bottle. Over lunch, we also talked about his efforts at sustainability both in the winery and in the vineyard. The tractors are run on bio diesel fuel which is created locally and is actually cheaper to use than regular fuel. 85% of herbicide usage has been eliminated with specialized tilling equipment. Water usage is carefully monitored and 75% of the winery's energy needs are provided by solar power. Scott Kelley is committed to making Estancia a role model for environmental stewardship, respecting both the land and the people who live there. It isn't just where his job is at, it's his hometown and he truly wants to preserve the bounty that Monterey offers for the generations who will follow while still making some very enjoyable wines.